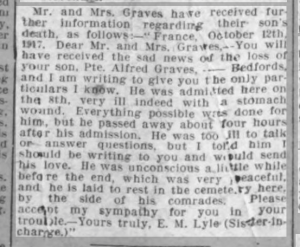 Alfred was born in 1895, the son of William and Elizabeth Graves. William was a Railway Signalman at Three Counties Station for upwards of 40 years. He was born in Cottenham, Cambridgeshire and Elizabeth (nee Boothey) was originally from Islington, London. 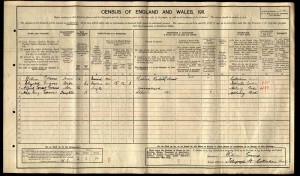 Their marriage was registered at Biggleswade in the third quarter of 1869. They returned to Cottenham sometime between 1901 and 1911, presumably when William retired. 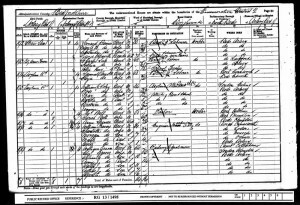 The family are shown as living in Arlesey from at least the time of the 1871 census, residing in Asylum Road (now Hospital Road), then Station Road. Alfred was part of a large family, consisting of sisters: Mary, Agnes, Emma, Martha, Annie, Bertha, Alice and Ada, along with brothers: William, Walter and Arthur. All of the children were born in Arlesey. 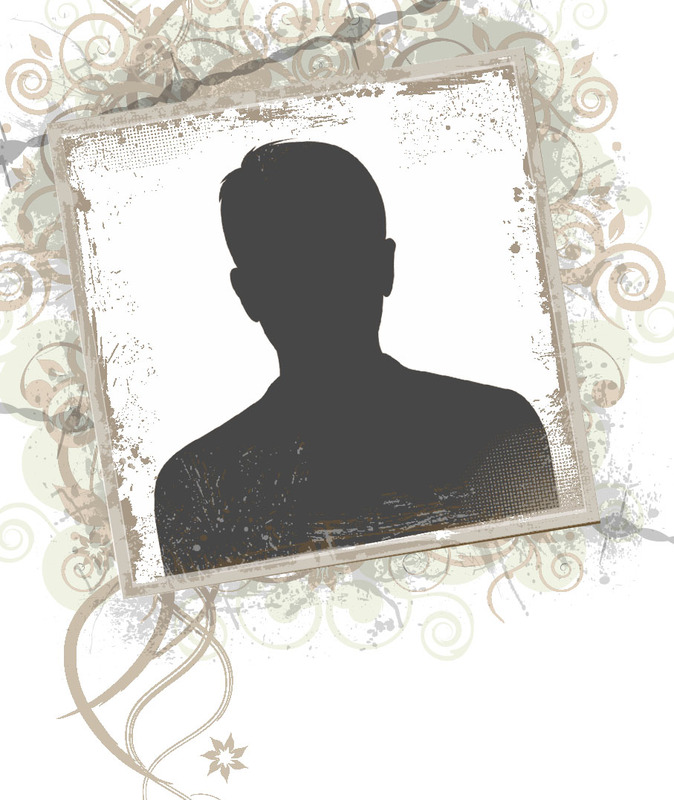 Alfred was educated at the Councils Schools and was a Wesleyan Sunday School scholar. He also took an interest in the Arlesey Band of Hope work (a temperance organisation for working-class children). 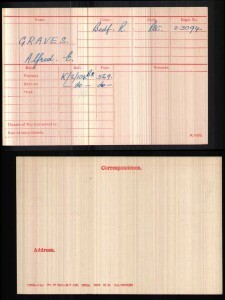 The Bedfordshire Regiment records show that Alfred joined the Army in November 1915, possibly as part of the Derby Scheme. Before joining the Army, Alfred was employed by Mr Gosling, a newsagent. 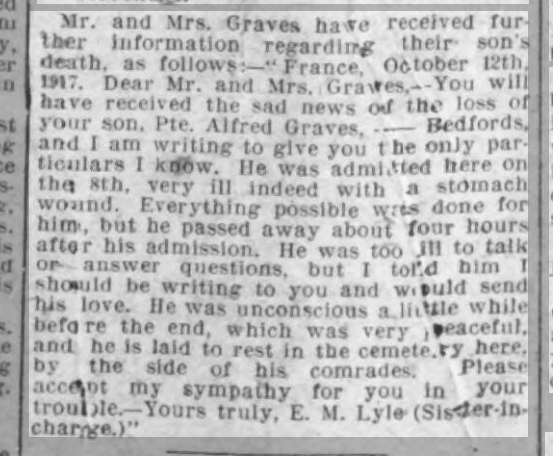 A report of Alfred’s death in the Bedfordshire Times and Independent from 26th October 1917 suggests that he served as an Officers servant whilst in the Army. At the time of Alfred’s death the 1st Battalion were on the Front Line near Veldhoek, having relieved the Royal West Kents. 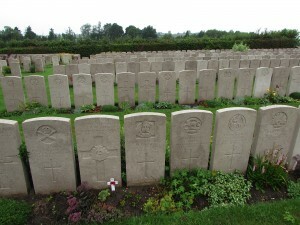 They had been busy digging a continuous front line and a communication trench back to the battalion HQ. 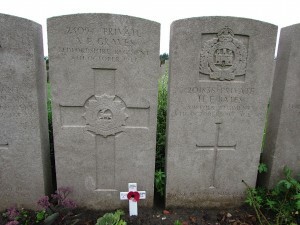 The day after Alfred’s death saw the start of the Third Battle of Ypres – The battle of Poelcapelle. 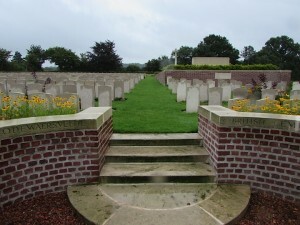 Alfred is buried in the Godewaersvelde British Cemetery. 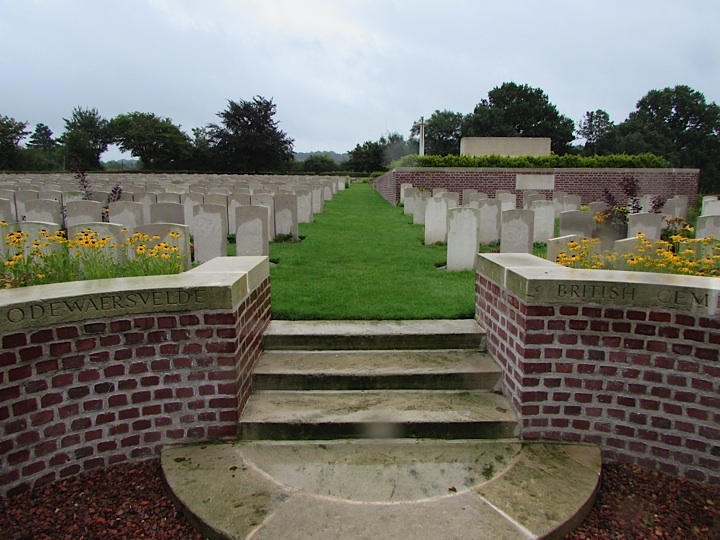 Godewaersvelde is a village near the Belgian border, halfway between Poperinge (Belgium) and Hazbrouck (France). 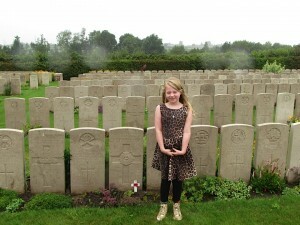 The cemetery was begun in July 1917, when 3 casualty-clearing stations (CCS) were moved to Godewaersvelde. The role of the CCS was to treat a man sufficiently for him to return to duty, or in most cases to be evacuated to a base hospital. 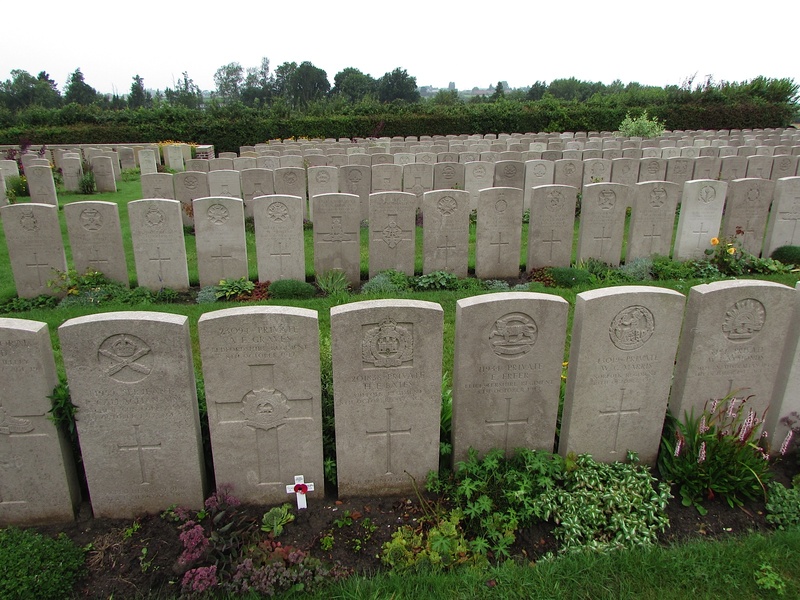 They were manned by the troops of the Royal Medical Corps, with attached Royal Engineers and men of the Army Service Corp. CCS number 37 was in operation at Godewaersvelde from July to November 1917. 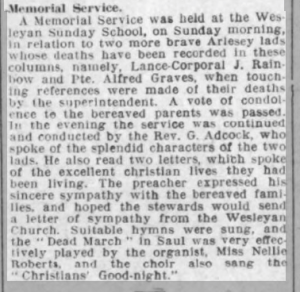 A memorial service for Alfred and another Arlesey soldier, Lance Corporal J Rainbow, was held at the Wesleyan Sunday School in Arlesey on Sunday 28th October 1917. 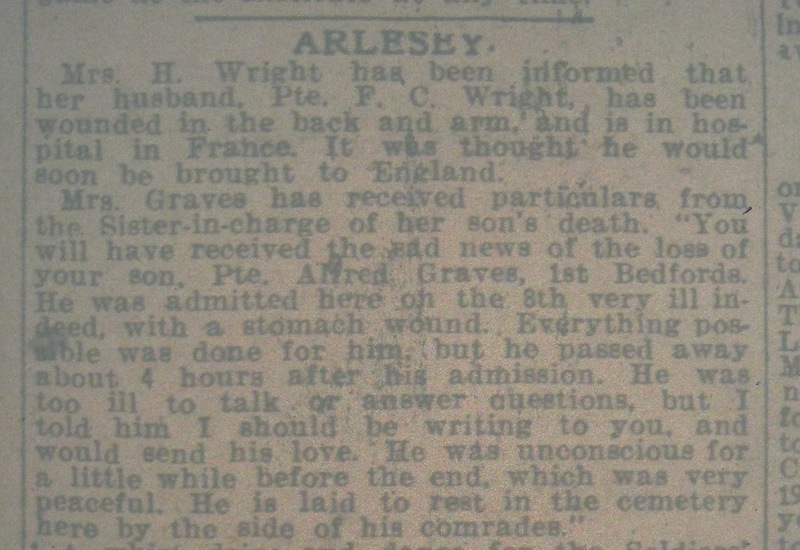 The superintendent made touching references of their deaths, and the Rev G Adcock read two letters, which spoke of the excellent Christian lives they had been living. 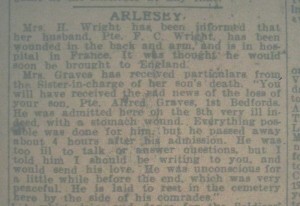 Alfred is remembered on the Arlesey War memorial and also on the memorial in Cottenham, where his parents lived.